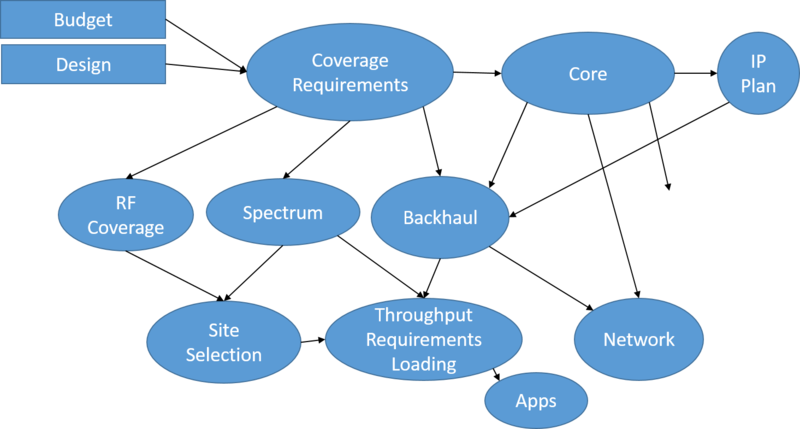 Deploy with the Wireless Deployment Handbook eBook that covers professional carrier end to end deployment of LTE small cells, CRAN, and DAS to show you the proper way to plan for deployment then execute, planning and action without the mistakes. 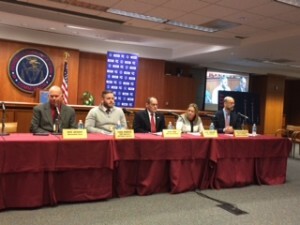 Here we are for the third and final panel which covered TIRAP and Telecommunications Workforce Development, let’s get to it. OSHA has released the initial version of the “Communication Tower Best Practices” document coauthored by OSHA and the FCC. Click here to download the PDF. 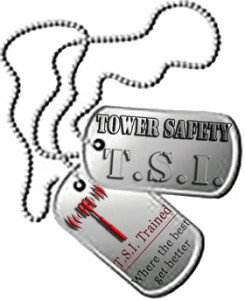 For those of you that don’t know OSHA has a website for the Communication Tower industry here. 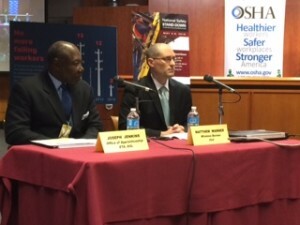 This panel covered the RFI that OSHA put out last year to the tower climbing community, the people on the front lines, for Information on Tower Climber Safety, OSHA-2014-0018, and click here to learn more about it. I will be at the NATE Unite conference February 23rd and 24th, will you be there? Let’s talk if you are! So who is going? The exhibit floor, map found here, where I will be the 24th to meet and greet as many people as I can! The schedule, found here. See you at NATE Unite! Remember that the TFF will auction off a professional drone package, details here. 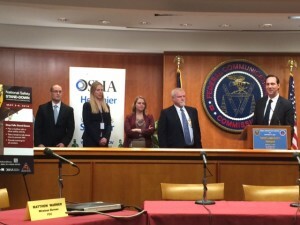 Thank you FCC and DoL/OSHA for putting this together, for taking the time to show you care about making this a better industry. Video of the workshop found by clicking here. Dave Anthony gave praise to NATE and many other organizations for all of their support to the tower technician workforce. He explained how complex the business really is and how much sacrifice the tower workers give each day. He also brought up how common training certification will make a difference in the industry. It is important that we continue to educate and train the tower workforce moving ahead. This documentation and standardization will lead to uniform safety across the industry. Chase told us that he sees TIRAP a bit differently because he is the climber on the front line. He also mentions how many changes he has seen in this industry and went through the history of his training. And how much better it is now compared to when he started. How MUTI training took training from a one day class to a week-long training program. MUTI training makes the climbers safer and professional. David told a story how when he started with SBA he was on his 10th day on the job and he got a call that one of his foreman fell and died. He then said how SBA had no safety program. He went to management and explained that they need to follow the regulations from OSHA and they needed to make changes. Two years later they lost one of their climbers from a fall in Florida. Today they have a serious and dedicated safety program. He sat down with Scott Kisting about how to make changes in the industry. 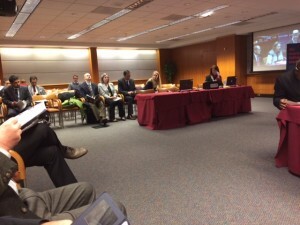 Then Laurie opened with how the demands put on the network demands a vast number of people with a wide variety of skills to roll out the network. It is important to Verizon that they know that people are properly trained. TIRAP is just such a program where the workers training is standardized and nationally recognized. Verizon has established programs to verify the vendor’s safety programs and certifications. They have hired a third-party to verify the contractor’s certifications. They don’t want anyone to get hurt or lose a life building their network. They feel that standardization across the industry will really help. Jonathon talked about his time with the FCC and thanked everyone for focusing on safety on the 20th anniversary of the telecom act. He pointed out how telecom has exploded in growth. He then said how growth means that the programs to train the works needs to be set and standardized for the workforce. Then he said how the workforce needs to provide an opportunity for the workers. They are bringing in academic institutions and veterans to build careers in this industry. To develop a career. First question asked by Matthew Warner. Has TIRAP advanced its 3 main goals, safety, quality, and job advancement for workers? Dave responded with how pleased he was to develop the training standards for each of the climbers to do their job at each level, and how TIRAP is supported by volunteers. By pursuing this course it will make the industry better with safety and standards. David agreed with Dave and also said how it’s self-funded and full of volunteers. He feels what they have accomplished in the past year is remarkable with the job titles and curriculum they have set up it a great start. They are working to get more codes for more job titles. Although slower than they would like it to be it is making progress. They are looking for volunteers to help. Laurie felt good about the push forward but she thinks that they could improve by getting more HR departments involved in this program. There is plenty of work to be done and they would love to have more people help. Jonathon said that they formed an apprenticeship program that stretches across the industry and that is a first. There is a long way to go but it’s a start-up, a small group that is really working on big ideas. They really want to make it grow quickly. It’s difficult to help all the companies with the help they need because of the small TIRAP group. He would like to hand it to the companies so they can see how much it will help them improve. Joseph said about how TIRAP took a lot of time creating ONET codes so that the jobs can be recognized by the DOL, why is this so important? David said that SBA has job titles and job description to provide uniformity to their workforce across the nation. This apprenticeship program is providing a career path instead of just a job. This states that the tower industry in wireless will provide a career path for them to earn money and build it into more. The ONET code is the catalyst behind all of that. Then Joseph followed up with, “what is the major advantages of providing ONET codes regarding safety quality, job advancement, and universal understanding of qualifications for this industry. David came back pointing out that the training curriculum is based on the ONET code in the job title. Each person has their qualifications based on that curriculum so they should all be trained the same. He said that the agreement between TIRAP and NWSA agreeing on the training so that the industry is completely aligned no matter how you get trained, with for NWSA or through TIRAP, the standards are the same and uniform. Then Matthew asked Chase if he could explain if he would want to see TIRAP trained people working for him and with him. Especially if he went to another company. Chase said that as a TIRAP member you start as an apprentice and then you work your way up. If he were to go to another company then he would have the certification, the training, the card, and the new company would know exactly what he is trained for. If you don’t have this certification then you really don’t know what the new guy was trained for. With TIRAP you have the structure in the training so you know that they know how to be safe and do their job. So Matthew asked if the training changed. with MUTI in the last 4 years? Chase said that they do have a training tower as well as classroom so it will not be a=on the job but there is on the job training. 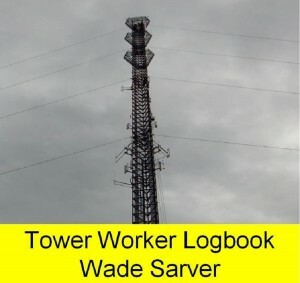 Then David jumped in and said that its SBA policy not to allow any training on their towers due to the risk and liability and that they do not have the faith in how most folks dot he training, and that they have their own program. That is SBA policy. Joseph then asked how Chase would improve training to ensure that he and his team is safe, what could companies to make them all safe? Chase responded stating that no job is more important than the tower climber’s life so if they feel at risk they should now they don’t have to climb. That should filter down to the climber so that they can stop the job at any time. They save an acronym called SAUCE, Stop, Assess, Understand, Communicate, Execute, this is what they do when there is an issue at the site. Matthew has followed up with stating that they have good practices, how do we make that a best practice for the industry. David said that everything they do they are trying to make a common practice. He also said how the workers spend a week in training first before they are deployed. They are taught what they need to know which is very similar to the TIRAP curriculum. Jonathon said that TIRAP is really about sharing best practices, looking at how they can do things right. This is being spread across the industry with TIRAP. They are working to developed more training. 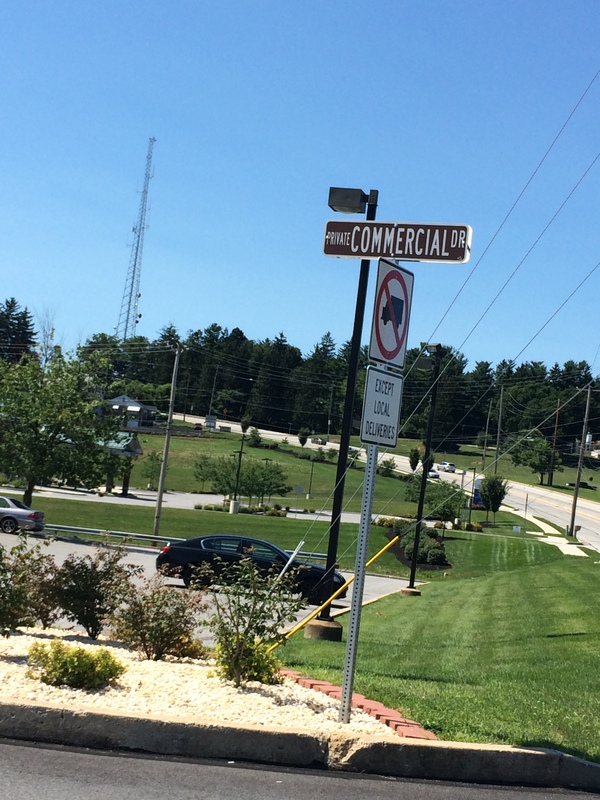 They are also promoting TIA standards and getting the word out in the industry. Now TIRAP is working on videos on YouTube to be released to train the workers to do the job right. Joseph ask Chase, have you noticed that following TIRAP procedures that you are improving your practice in the job have you been able to notice when someone is doing something wrong that you can improve the practices? Matthew asked about how you know when the contractor is telling the truth about their training? Laurie said that they evaluate the contractors on several factors, safety, length of time in the industry, and track record with OSHA. There really is no set of criteria to evaluate how good they really are. So they like that if they could have a uniform way to see what their workers can do with uniform certifications. This will help align contractors with the certifications. How does a carrier know who does the actual training versus someone who just copied credentials. So with TIRAP setting a uniform training and certification program to let them know what they can and cannot do. Then Matthew asked what would be the ultimate solution for that, but ONET codes won’t really help the carriers, but what would help Verizon verify who is qualified? Laurie would like to see a way that they could look at a database it would really help. There isn’t anything at this time but the sooner they have it the better. Then David brought up that this is a real problem in this industry. He said the way to stop these companies it to catch them in the industry, but doing site audits. Then Dave said that NWSA will help align their training credentials with a database lookup. This training has 37 different jobs that they will code which means one size does not fit all, but each one will be specialized. So they are being very specific about the training and certifications which is specific to the scope of work. Joseph asked what is TIRAPs method for validation of training and how will this be different from internal training programs? Dave came back and said that the federal government will have a role in this. Credentials will back up what they say and the government will back up prosecuting anyone with false credentials. Joseph asked if the TIRAP board could do more to create standardized training modules and does the all-volunteer TIRAP board have the resources to complete this? Dave said they need more time and money. They are taxing OSHA to support them which needs more time and money to support this program. Dave asked them to step and be all in. They need the support of the government to help them achieve the goal, the commitment to support them. Then Jonathon brought up that this is a startup phase but they expect that when the larger companies start to pitch in then they can quickly adopt the apprenticeship programs then things will start to roll ahead faster. Then David said that the program for the smaller companies that can’t hire a training staff, it will really help. What a great way to train veterans to be trained and use the GI Bill to get trained. Matthew then asked what TIRAP could do to help veterans. Dave (on the board for Warriors for Wireless) brought up that veterans are looking to build a career because they are always looking to advance. 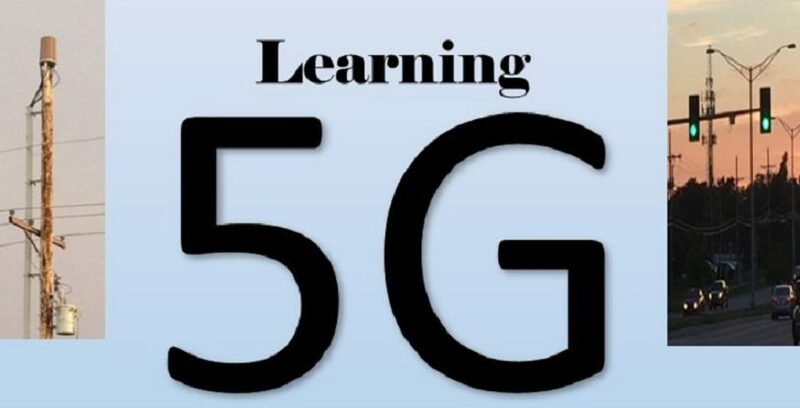 The wireless industry didn’t have that before but now they are building career paths for the people to get a job that they can succeed in and grown. A career that they will enjoy. A career that they will support their family with. Jonathon said that this is the perfect industry for veterans because they are team oriented, safety oriented, and many are leaders. Maybe they want to move into different jobs and that is open to them now. The GI Bill could be used to train the veteran workforce and help them move ahead. The men and woman of the military are perfect to build a culture of safety. Matthew wondered if Verizon would pay a higher rate to hire TIRAP trained contractors. Laurie said that the job does not always go to the lowest bidder but to someone who is the most qualified and has the training in place. She said that Verizon understands that when a contractor says they need a man lift that they would allow that. Matthew then asked could third-party auditing contractors, would that help. David said it is very hard to stop this, no matter what you do it may not stop. They ask for the training certificates for the people on site and they did over 500 audits last year. The problem is that you have several companies that play this game and do not train people properly. He doesn’t think that audits could help. Laurie said that audits would be a good place to start but it will not be enough. It’s a step in the right direction. Matthew asked, Most companies are money driven and TIRAP would be driven by company owners, so if new companies pop up during the busy time, how would you know who is trained and who isn’t? Dave said that the workers will not get the certificate until that worker is qualified and passes the certification program in TIRAP and NWSA. The on-the-job training for TIRAP is more thorough and requires more validation. The apprenticeship part of that will help as well but it takes time to get all of this in place. The workforce will be trained for their specific job, then there should also be a no tolerance policy for the cheaters. There isn’t one thing to be done but all of it has to be done right. It take time and adjustments to do it right. Do we love money or do we love the people that work for us? Dave asked his guys to stand up and we all applauded because he made the point that he loves his guys and he doesn’t want to see any of them get hurt. He thinks that all contractors should decide what they love more, their people or money. He hires the right guy for the job. He states that each company and worker will stand the test of time and that the industry is moving in that direction. We want to build something that is enduring. Then Joseph asked how TIRAP works for the climbers for someone who has been in the industry for years. David said that they can test out at each level. Dave said that we got a long way and let’s work it together. Each group has to do what they need to do be successful. Chase said that safety starts with the company so if the company isn’t safe then the climber will take shortcuts. Don’t let complacency creep in because if you get complacent on the tower then you have accidents. Stay 100/100. 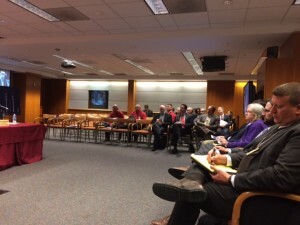 David thanked the FCC and OSHA and thinks that the industry needs more workshops like this. He said that he does not want to investigate any more fatalities, he has looked into 17. Laurie said that safety is paramount and it needs to be the culture at all levels from the climber to the contractors to the engineers to the carriers. Everyone needs to accept that they have a role in safety. For the culture change we need to stop focusing on the money and focus on each other so we all are safe for the next time. Jonathon said that we are in a special industry, wireless broadband that improves not only our lifestyle but for public safety. This will make changes by creating jobs and providing safety. We need to align the safety with the growth and the demands for mobile data. We need to do it right. Then Kathy Pierce, a volunteer with the Hubble Foundation, gave a moving speech about her loss. Her son died 2 years ago and she was so emotional when she spoke of her son, Chad Weller who died working on a water tank about 2 years ago on March 19th in 2014. She was very emotional and it was so sad, it is very hard for her to talk about this. Kathy talked about how you need to climb with a clear mind. Safety isn’t someone else’s responsibility, it is yours. Everyone involved needs to be held accountable. It is not just one person’s fault. She brought up how her son made a difference in that company and she found it very sad that it took her son to die for that company to realize that they need to improve safety. Why does it take anyone’s family member to decide that they need to be strict on safety? She said that her son made a huge impact on their lives when he was here and now he is making a big impact on others now that he is gone. Kathy asked us all too truly commit ourselves to make a change to make the industry safer for all involved.Then Michael gave the closing thank you to all that attended and to his team. I would like to thank the DOL and OSHA and the FCC for doing all that they do to help this industry become safe and professional. The thing is I have met some of the absolute best people I have ever know in this industry, but I have also met some of the worst people I have known in this industry. I would like to see everyone in this industry become the best they can be and see the level of professionalism rise to the top of all industries. I pray I get to see that day. Let’s all work together for a safer and happier future in wireless. Let’s work together to make this happen. I spend a lot of spare time writing about this and not everyone likes it, but for all of you that appreciate it, thank you! Remember that the FCC and OSHA are here to help. They are our friends in the endeavor to overhaul the industry. Sooner, the professionals will run the industry and the other will fall behind and out of this industry. It’s more than a dream, we have all the people that were at this panel working to make sure that it happens. I see great things for the future. I see the value added to each task added to this industry with a pride that wasn’t always there. 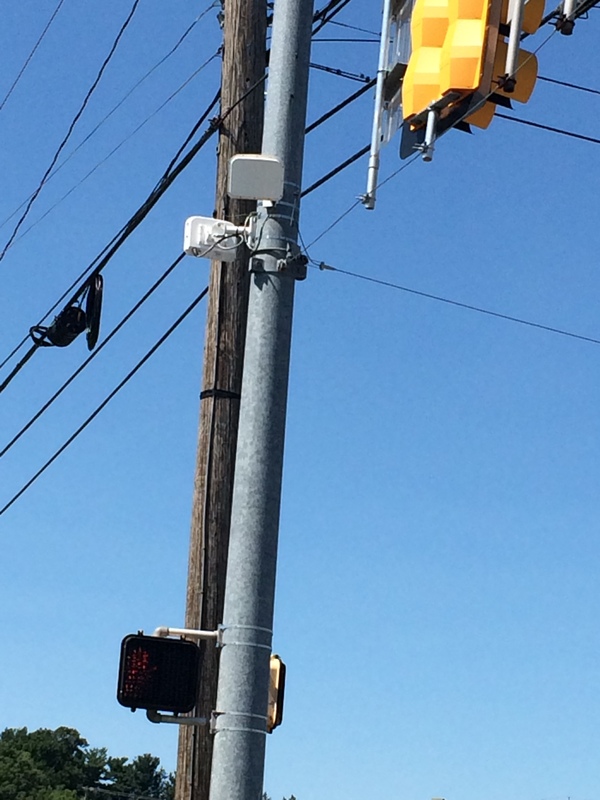 I am honored to take that step with each of you that want to see a successful and safe wireless deployment into 5 G and beyond. Remember that the FCC and OSHA are your friends! They are working hard to help you become better at your job and safe! 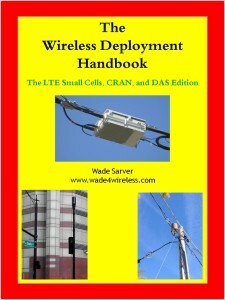 You need to download the Wireless Deployment Handbook eBook that covers professional carrier end to end deployment of LTE small cells, CRAN, and DAS to show you the proper way to plan for deployment then execute, planning and action without the mistakes. I am asking the carriers to provide numbers for workers to call to report payment issues and contractor issues. I didn’t hear from any of them yet, If you know it let me know at wade4wireless@gmail.com, but for now, call OSHA! OSHA cares, don’t be afraid to call the number below and explain to them what is wrong at the site when you feel the work site is not safe! CALL OSHA to report unsafe work conditions! OSHA is asking for public comment on Safety and Management, click here..
Log your job, your high time, your drive time, and track your crew’s work! Video of the workshop and information found here. 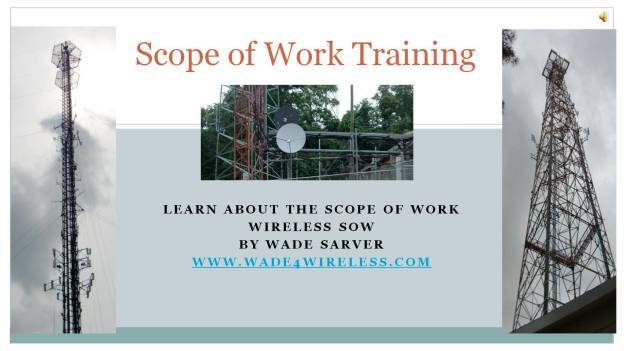 Scope of Work tutorial for the contractor. Give to the Hubble Foundation because if you don’t help these families, who will? Who supports Hubble? The wireless workers and the tower climbers, that’s who! So it’s up to you! What if it were you? Would you want help? Who would help you if you were hurt? Who would help your family, your spouse, your children if something happened to you? Do you see the people who are hurt?